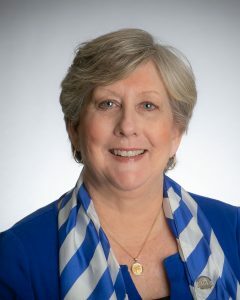 Sally Sparks, REALTOR®, ABR, AHWD, CRS, GRI (Master), MRP, PMN, SRES, of Century 21 Select Properties in Knoxville, is a 2019 Division 3 Vice President for Tennessee REALTORS®, representing the Eastern Grand Division at the state level. A veteran of 14 years in real estate, Sally is a member of the Knoxville Area Association of REALTORS® (KAAR), where her many leadership roles have included President (2016) and Chair of the RPAC, Star Professionalism, and Award of Excellence committees. At the state level, Sally has served as a Director since 2012 and as a member of the RPAC Ambassador, Governmental Affairs, and Convention committees. Nationally, she has served as a NAR Director in 2015 and 2017. Within the real estate industry, Sally is a member of the Council of Residential Specialists (CRS), REBAC Buyers Council (ABR), and Women’s Council of REALTORS® (WCR). In the community, Sally has volunteered as a member of Knox Heritage (she’s a certified Historic Homes Specialist), Wesley House, the former Laura Cansler Boys and Girls Club, and Faith Promise Church. She and her husband, Bob, are the parents of four children. As a 2019 Division 3 Vice President, Sally is available to update Local Associations and other audiences on timely real estate topics from a statewide perspective, provide information about TAR member services and benefits and listen to any insights or ideas that could be shared at the state level.